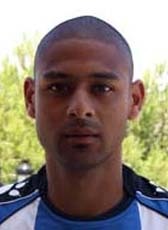 Ajax youth product Winand Kiran Bechan signed a 2-year contract until 2009 at Hércules Alicante, a club from the Segunda Division. His first season in Spain was not successful making just a few appearances. In December 2007 the club was already looking to terminate his contract. In June 2008 the club announced officially not to continue with Bechan in the new season. Although having a contract for 2008-09 the club and player were looking for an agreement. It was also clear that technical director Javier Subirats earned personally on the transfer of Bechan. He returned home in October 2008 to sign for the rest of the 2008-09 season at FC Emmen. In the summer of 2009 he moved to Cyprus to sign for Ermis Aradippou. After playing for the 2009-10 season on Cyprus Bechan left the island in summer 2010 to go to Doha/Qatar based club Al-Mu'aidar SC. After a short time he moved to Kazakhstan where went playing for FC Atyrau. In January 2012 he was released from his contract and retired from professional football.